After The White Stripes dissolved it would have been sad to say that we wouldn't get to hear from Jack White again. 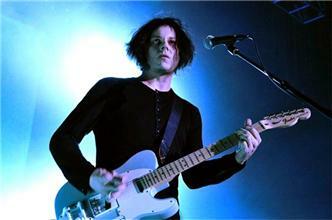 Well the fact is Jack White can not leave music, it is his passion. Since Jack and Meg's fallout, Jack has only blessed the music community with more and more music. He now has a successful record label in Third Man Records and also has one of 2012's hottest albums in his solo effort Blunerbuss. Last week, on July 2nd in Paris, White brought back one of the classic White Stripes songs 'We're Going to Be Friends' with special guests the Swedish Söderberg sisters who make up the band First Aid Kit. Check out the video below of the performance.